FRIDAY, Jan. 19, 2018 (HealthDay News) -- The flu is causing widespread misery across the United States this winter, but the American Lung Association says there are things you can do to avoid being felled by the virus. In what is being described as the worst flu season in years, 49 states are now experiencing widespread activity. So far, only Hawaii and Washington, D.C., have been spared rapidly rising rates of reported infections, according to the U.S. Centers for Disease Control and Prevention. The predominant strain this season, H3N2, is also more severe than its viral cousins. At least 20 children have already died from the flu this year, the CDC reports, and hospitalization rates are climbing quickly. And, the agency warned, the end is nowhere in sight: The flu season is expected to last for another 13 weeks. "The flu is more than just 'a bad cold.' It's a serious respiratory illness that's easily spread from person to person, usually when the person with the flu coughs or sneezes," said Dr. Norman Edelman, senior scientific advisor for the American Lung Association. "Symptoms of the flu include fever, cough, weakness, aches and pains," Edelman said in a lung association news release. "Symptoms can range from mild to life-threatening. If you have asthma or other lung diseases, you are at higher risk of developing complications from the flu." Other vulnerable people include those with weakened immune systems, and the very old and the very young. Get a flu shot. Even though this year's vaccine isn't a perfect match for the viruses in circulation, it's still the best way to protect against infection. And some protection is better than none. Flu season may not end until May. The flu shot will remain effective for roughly six months. Anyone 6 months or older who still hasn't been immunized should get a flu shot. Seek medical attention. People who develop flu-like symptoms should see a doctor right away. Antiviral medications can help ease the effects of the virus, but these drugs are most effective if taken within 48 hours of getting sick. Warning signs of the flu include: high fever, headache, joint or muscle pain, cough, chills, sore throat, congestion and fatigue. Don't spread the misery. If you get the flu, take steps to prevent passing the infection onto others. 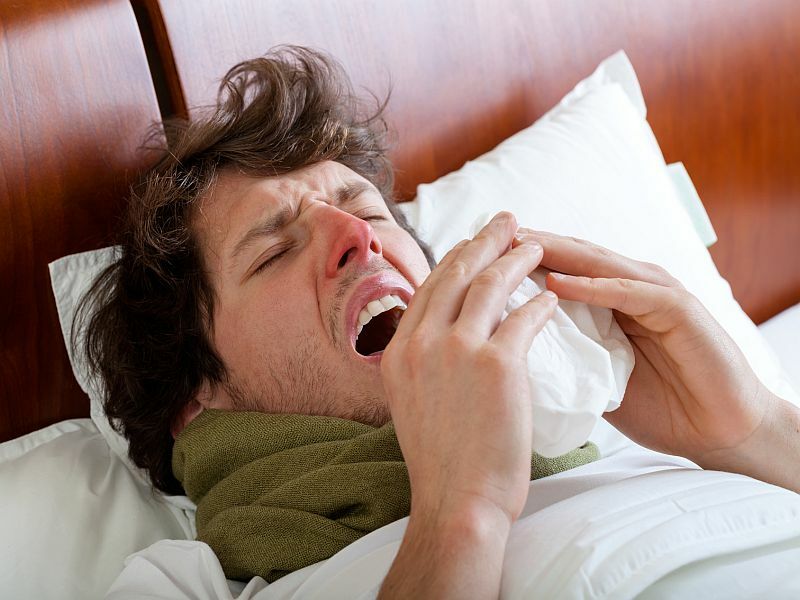 Sick people should cover their mouth and nose with a tissue when coughing or sneezing. Hands should be washed frequently. People should avoid touching their eyes, nose or mouth, particularly if their hands aren't clean. Be sure to disinfect possibly contaminated surfaces and objects. Anyone with the flu should stay home and not go to work or school for about a week. Once flu symptoms appear, people are contagious for five to seven days.